It’s a testing ground for the country’s most ambitious emerging food minds, 12 months in the making. Here’s what to expect from the first resident chef. On Wednesday morning, the day of the launch party for the Broadsheet Kitchen at Saint Crispin, Broadsheet staff was frantically recruited to help set up. From 9am, writers, editors and product managers unpacked plates, glassware and grog, and hung pot plants at the rear arched doorway. Builders laid the marble countertop on the bar and prayed it would set in time for cocktail hour. The Broadsheet Kitchen’s first resident chef, Ryan Dolan, was up on a ladder writing his name on signage in blue marker. 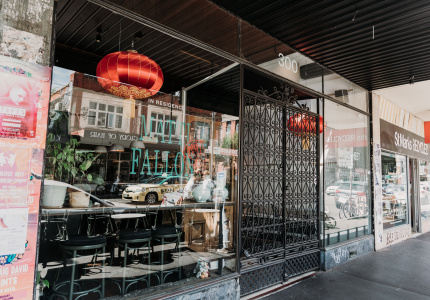 Samantha Eades Design had just three days to strip Scott Pickett’s renowned eatery’s interiors and rebuild the fit-out – and it came right down to the wire. 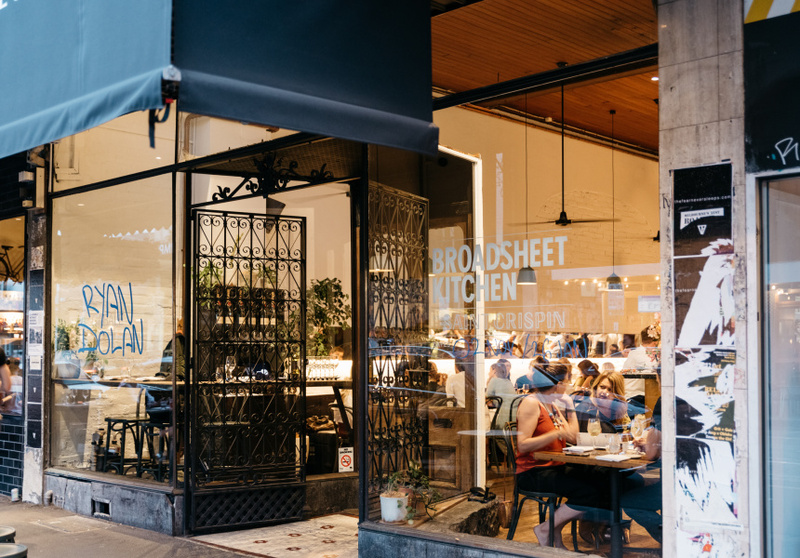 But despite this incredibly quick turnaround, the Broadsheet Kitchen has been 12 months in the making. Broadsheet’s done restaurants before, but this one is by far the most ambitious. It started with a nationwide search for emerging chefs and restaurateurs with an idea for a bold new food concept. 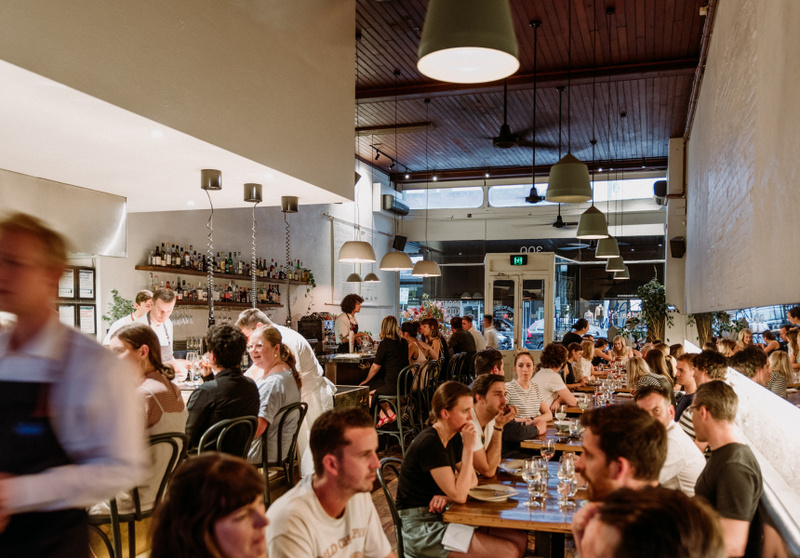 Queenslander Dolan – who comes direct from acclaimed Melbourne restaurant Ramblr – impressed the judges with his bold restaurant concept, Cabale. 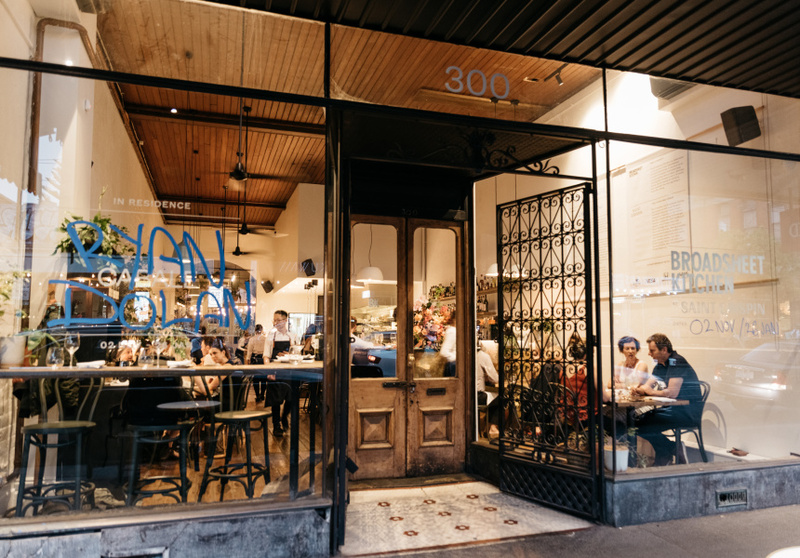 Dolan spent six years cooking in Lyon, France, where he discovered the French dining concept of bistronomy, which focuses on small-batch produce elevated with technique, served in a laid-back, lively setting. It’s a movement that once upended the French fine-dining establishment, throwing Michelin into a tizz. Cabale hopes to introduce guests to a dining style they may not be used to. “When you go out you should go out with an open mind,” he says. At Cabale, there are no share plates (so no quibbling over what to order). And there’s a buzzing atmosphere and a genuine roar of conversation not propped up by blaring music (though the tunes are a highlight – Dolan calls his playlist “voodoo rockabilly speakeasy”). The menu is tight – there are just three options each (and a special or two) for entree, main and dessert. Thursday is the soft launch. A test run. And it’s a full house. Pickett is running the pass, while Dolan and the rest of the Saint Crispin kitchen team works at what can only be described as maximum capacity. First up: snacks. Flamed ox tongue so tender it’s a marvel they even managed to skewer the cube of meat; compressed baby cucumbers with lemon-balm oil, topped with zigzagged goat’s curd and nigella seeds; and puffed seaweed biscuits with rilette of clam and fresh tomato. The standout mouthful is the comté gougère, a tiny profiterole stuffed to the edges with glossy cheese the texture of custard. Any bigger and they might be too rich for one bite, but at 50-cent-coin size, you feel like you could down 30. The Moreton Bay bug excellently expresses caramelisation. The flesh is crisped and golden on one side like a grilled prawn in its shell, served in an equally crustaceous bisque. “Two mackerel, two kohlrabi, two pork,” Pickett yells over the restaurant’s rumble. The vegetarian main is kohlrabi, sliced thin and layered with purple mustard (purple thanks to a wine-esque grape-must ferment) before it’s baked, then pressed overnight. 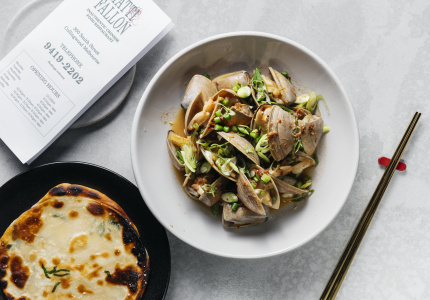 It lounges in a punchy sweet-and-savoury onion broth with fresh peas and a sheet of lightly pickled kohlrabi draped over the top. Desserts stick to simple flavours. Goat's milk ice-cream, blueberry sorbet, fresh blueberries and bee-pollen meringue, and a moreish chocolate marquis (firm, dark chocolate mousse) with ice-cream made from dried bananas. If you do happen to be trading mouthfuls with your neighbour, go chocolate first and finish with the almost effervescent swirl of blueberries and goat's milk. Dolan hopes that diners become more adventurous when offered less choice. “The understanding of letting the chef take care of menu choices, the Japanese have a word for it, omakase,” he says. “Meaning: ‘leave it to the chef’. It is our profession after all. 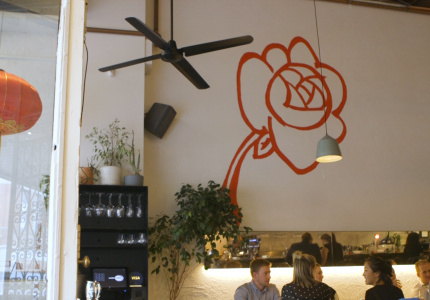 Ryan Dolan’s Cabale will be in residence at the Broadsheet Kitchen until January 26. 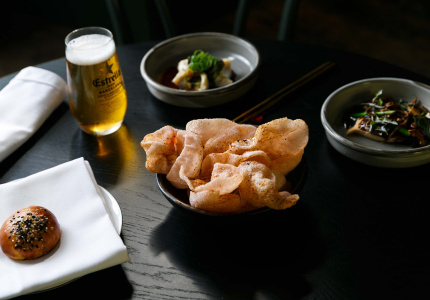 Bookings can be made online here, and a few tables will be reserved for walk-ins each night.